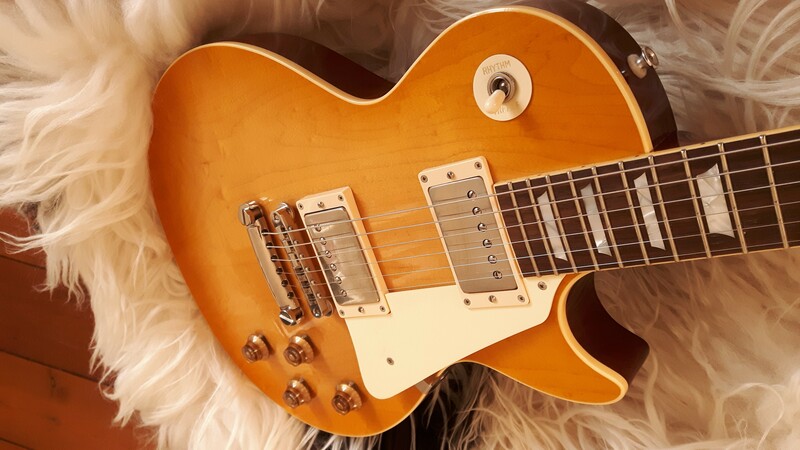 Tokai Forum - a subsidiary of TokaiRegistry.com :: View topic - FS: Crews KTR LTD (10/144) SOLD!!! FS: Crews KTR LTD (10/144) SOLD!!! Posted: Fri Sep 22, 2017 5:26 am Post subject: FS: Crews KTR LTD (10/144) SOLD!!! 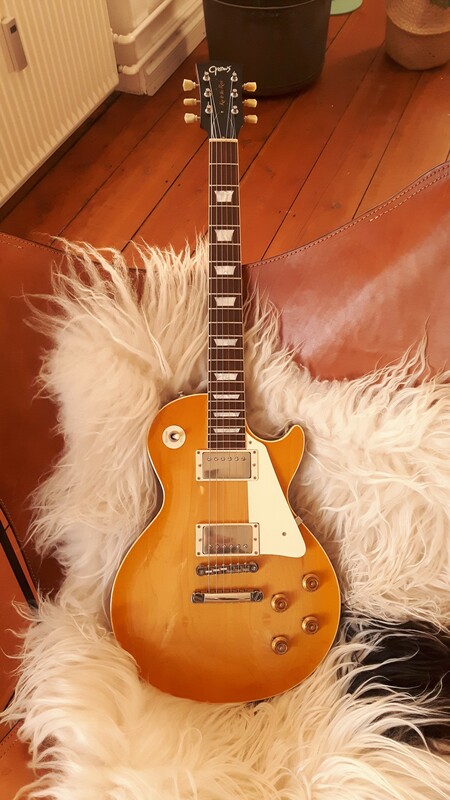 Up for sale is this gorgeous Crews KTR-Limited (10/144) Les Paul with the original NFS handwound pickups. 30 year air dried rosewood board and ditto mahogany neck. One piece body etc. Plays great and sounds evens better. Extremely light weight at only 3,6 kg! Great balance. 59 medium neck. I'm a sucker (addicted) to huge necks and I just bought my second Momose so this has to go. I'll probably regret selling it. Those pickups are insane! Never tried the DryZ pickups(which are made by the same guy that make these) but if they sound anything like these, then I completely understand the hype. 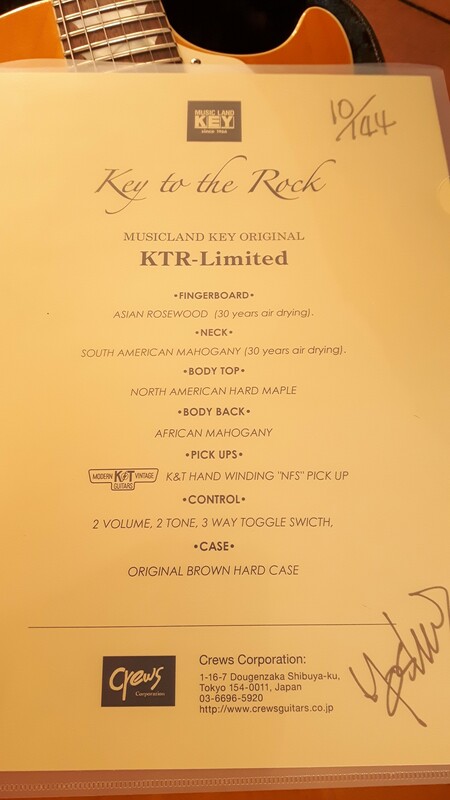 up there with navigators, but better pickups, the KTR FM the KTR limited and the KTR standard all limited runs and all superb..
My Crews NEXT 5D (limited run of 20) is superb; the build quality is as good as I have seen on any Les Paul from any maker, bar none. I am sorry Fredrick I wrongly though this was a regular thread. As far as it is a sale ad, no opinions are fair here. Apologies. That is a great price for one of these in Europe. Good luck with the sale! Ive been asked about the neck size. Its 0.904 inches at 1st fret. Profile is what I would call a 59 profile.